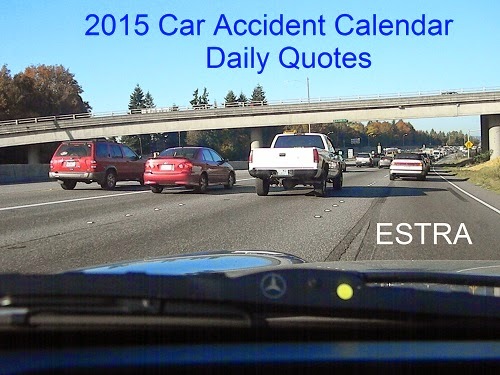 Seattle (ESTRA) - Recovering in love after a car accident means being kind and patient during difficult times. It requires acceptance of being in a place which does not offer the goals and dreams sought prior to a car accident. Keeping mind moving towards future and not giving up hope of overcoming challenges may take you further than realized. Here are 10 steps to help you recover in love. Disappointments come to us all. When missing limbs, mental dysfunction, or back to square one again, who could not be sad about situation. No one wants to put life on hold. A slow recovery means living conditions will be impacted. Previous plans may be placed on back burner or completely changed. Yet, if listening to this radio program, recognize some people did not get opportunity to reinvent their life because they lost them in collisions. What am I saying? 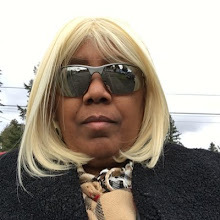 I’m saying that sometimes we have to accept things we cannot change and make decision to move forward in spite of perhaps a bitter pill swallowed, meaning a shattered dream due to a collision. Dreams can be remade or reshaped as long as alive. Stages of grief also occur after car wrecks. The initial shock alone can place mindsets into new reality. New realities take time to accept. There is a big difference between viewing collisions in picture form versus personally experiencing especially for first time. In many cases, things we see happening to others don’t necessarily click in our minds these things can happen to us. So understand grief after injury loss is a normal response. Take time to learn impact on others in similar circumstances and express what it has meant in your life, too. This journey has more to contribute than just suffering and loss. Victory can be achieve through trials and tribulations. Take whatever positive experiences learn from this journey and give this to someone else who could use it to better their lives. Whatever life brings, there will always be two sides. Use encouragement, inner hope, strength, or greater knowledge to make a difference. Family, friends, or others in community will one day need this information. Life’s surprising shake ups. Did day of a car wreck seem normal? This is usually the case. There is something about waking up every morning with the idea it will be a typical day. Most of us are accustom to proceeding day after day with similar activities, allowing our state of minds to regularly create the expectations from previous experiences that each day will be ok. Many routines such as driving to work or other activities safely is common place. A collision during routines shakes up perceptions of what is to come. Now, people can be placed on high alert, anticipating the worst, instead of daily routines. Our world has been penetrated in an unexpected way, adding knowledge to psyche that a collision can happen to us. 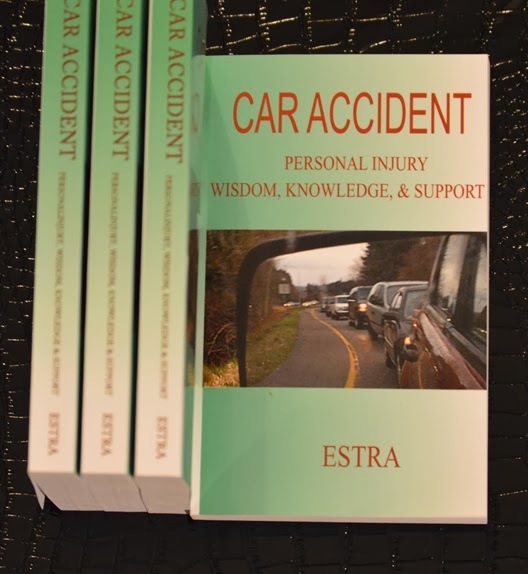 This knowledge can change desires to drive, worries getting to and from destinations, and take a while to overcome traumatic visuals which come from being in a car wreck. Yes, life can be transformed from an incident. One can take this information and use it to strengthen resolve to overcome obstacles. Realize that being afraid to drive does happen for some, depending on seriousness of accident, number of time involved in a collision, and yes this is another endless list. Time does bring healing and awareness which allows driving to become more comfortable for many. And some do develop PSTD , known as Post-Traumatic Stress Disorder from car accidents. Fortunately, getting help does provide injured with knowledge to work through this process or develop coping mechanism to move through them. The key to remember about surprises in life is that there will be some and typically when least expected, that’s why they are called unexpected events. Take hold of whatever comes your way, own it, master it, and take knowledge learned into next phase of life. Whatever you do, don’t get stuck and hold in traumatic events. There are many people who have gone through this and are willing to help others move through to a better place. The struggles indeed make most people compassionate and willing to make commitments in aiding others. In summary, realize life will bring surprises. Because of an information base to build upon before a collision, the greater chances to recover in love. Sadness after being injured is normal. Chronic pain and suffering alone can have an impact on mental states, however, if unhappiness becomes prolong be sure to seek out support, at minimum a shoulder to share burdens and remember there are professionals who can help. Select someone you are comfortable with and helps improve conditions. Sometimes a little support can go a long way. The accumulation of losses is another reason for great sadness. Adding hobbies or activities which provide joy, optimism, or uplifting opportunities can focus on the future rather than past. This may also be a means in finding new dreams and options of hope and encouragement. Don’t feel hopeless due to an injury or disability, be in search of your niche. Make decision not to give up, find a place where what is important reaches the audience which need to hear about trials, tribulations, and victories of life experiences. Advocating for those involved in a car accidents facing current issues you’ve learned about matters. This can be a long journey for injured or disabled and because money and wealth can block access for those in need, the more help for Main Street, the better in my opinion. Empowerment and self-confidence can go a long way in moving from sadness to wholeness. Recognizing there is a place for you in this world regardless of current condition. Today there is acknowledgement that there is room for all of us. Invisibility is less acceptable in societal behaviors. Regardless of who you are and personal skill set, there is room, even if you have to create it. In fact, most do design their niche. Make plans and pursue dreams with a happy heart. Make sure to receive total recovery care. As unique individuals the impact of a car wreck carries similar and different problems. Finding a resolution which restores wholeness sometimes requires a set of professionals in specific fields. Don’t be hesitant to speak up if there is something more required. Mind readers professional are not. In fact, sometimes you may understand more about what is happening than caregivers do initially. Communication and relationship between individuals takes time to build. Depending on level of injury, the body, mind, and spirit may be bruised and need healing. The final word in personal care always belongs to you. Is it important hear out professionals? Yes it is, but at the end of the day, you go home with injuries and must endure. Don’t be afraid to work with professional to come up with something that works all the way around. Unfortunately, more medical care professional hands are tied by insurance company demands on what procedures are approved. In fact, insurance company employees or contractors meet with people responsible for your care. They may be applying pressures to these individuals to see claim their way. Insurance companies supply them with information which presents claim in a way that benefits carriers desires regarding your claim. If you find out that pressures are being placed on people aiding in care, document them being there, and if you become uncomfortable with the relationships, document this too. Do not be surprise if they follow you to all professionals assisting in your care. Frankly, I consider this to be harassment and intimidation when insurance companies prevent medical professionals from doing their jobs without interference. Sadly, may policyholders don’t always recognize this behaviors, because much of what these insurance companies do is not shared with the individual it’s about, you. Many patients are left to wonder why relationships are changing, since most are not being kept in the loop. And, unfortunately, these medical professionals are being paid by these insurance companies. Therefore, how much lead way do they have to protect the interest of their patience, especially when billing can be held up for months without repercussions? This leaves medical professionals with no choice but to play ball, so to speak, with these huge conglomerates that could hold out for years. Wondering why some professionals are only accepting cash today? This is one of the reasons. They choose not to deal with bad faith insurance companies. Also important to know is that insurance companies have their own set of medical professionals in which they work with against policyholders. Days where honest, independent, assessment may be of thing of the past. Therefore, learn which private or state organizations work closely with these corporations. Most people are unaware of this issue, and walk into medical care offices expecting just a fair and honest assessment of their condition and help in recovery. Many of these insurance companies put money back into communities, to hold interest. Money does talk in America. Screening the people you go to is important. This is one area attorneys are helpful because they know where most allegiances lie. Unfortunately, there is a set of lawyers who also work with insurance companies. Let the Policyholder beware of whom you seek legal counsel with, because getting in bed with the enemy so to speak, can end up discouraging efforts to receive a fair and just settlement. You are the most important person in this equation. When face with many decisions and perhaps life changing choices, only you will live with outcomes, therefore, become educated about available options, and do what is best from your perspective. When exposed to several options, some will include fear of actions. In my opinion, evaluate why these intimidation factors are present, and who benefits from them. Making decision based on what is in policyholder’s best interest and actions used as punishment to prevent in selecting options should not necessarily prevent individuals from making this choice. The key is understanding what is to come, how to handle the battles you may face, and stand for what you believe, and let the chips fall where they may. Too many times policyholders are forced into position that are not beneficial and do not improve the quality of life for them. Far too many insured spend much of their time struggling due to not receiving the full benefits from insurance carriers. Weigh the consequences of your actions carefully and recognize insurers do not always do what is right for the insured. Frankly, it is better to stand for what is right on your behalf, than be taken advantage of in a way that makes living with oneself more difficult. I personally believe when bad faith insurance companies are forced to release statistics on treatment of insurance policyholders to the public, these behaviors will change. Verify what you are told by Auto Insurance Companies. 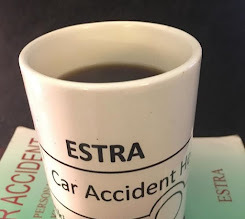 From my experience, some insurers will put their interest first which means when everything said and done, policyholder’s get short end of the stick at outcome. In my experience, trusting without verifying in these circumstance can be problematic regardless of whom dealing with, by learning as much as possible about the experiences of a collision prior to being in one, this decreases the chances of being taken advantage and reduces levels of stress. The key is to take the time needed for reviewing and evaluate requests. If being pressured into making a decision before ready, this should raise a red flag as to whom will be benefiting from these actions. When uncertain about which way to go, you can always seek counsel and get more than one opinion. Make final decisions by evaluating what you will be able to live with today and into the future. Remember, auto insurance companies have walked through claims such as your 100s or even 1000s of times. They typically know most of the ways claims can take go, how to defend themselves, and keep settlements due to policyholders whether today or 10 years from now. The key to think about is what do you want and how to handle this situation. Yes, you can tell them no, you do not have to play it their way. If fact, you are always in the driver’s seat so to speak. Let’s hope in the near future, Congress will sign legislation which creates a fair playing field for policyholders coming up against multi-billion dollar corporations. Insured Civil Rights Legislation would prevent Insurance Companies from delaying, denying, or terminating benefits. Until then, verify what auto insurance company adjusters say and do is within the laws of your state. National legislation protections for all policyholders is required in order to have equitable settlements. Make medical decision best for you, not Employer. It is important to keep employment, if at all possible. No one likes the idea of having to start all over again. But sometimes, roads and path change not the way an injured person wants it to happen. We cannot always control things that happen in life. Self-sacrificing to return to work before healed may be more costly in ways not thought about currently. Therefore, weigh impact on health, finances, and future. I realize this is not always the time injured can think clearly, but critical steps can either lead to successful recovery or possible disaster. Look where you are realistically. Capabilities is very important to develop a plan which helps move forward victoriously. Then share testimony with others that they can also make it through the trials and tribulations face through in car accident process. Go on to live in a way that gives meaning and provide opportunities. Learning about conditions using both current and future research enables critical thinking which allows policyholders to ask the right questions, and make best decisions. Again, insurance companies will attempt to impress their opinions on individuals who play a major role in your claim. They may not always do this in a way that is just and fair for the determination of a claim. If they did, fewer people would have stories to tell about their treatment by insurance companies. The key is no life that is trouble free. In my opinion, each of us must stand up for the things believed in, not only for ourselves, but others. Stand tall and learn as you go through this claim process. Choose to recover in love by taking care of yourself and realize each of us do the best we can in the situations faced. Say no to any care that is not working for you, and yes which helps move you forward. Be forgiving when making slow progress, and celebrate when growth moves quickly. All are part of the process and builds upon goal of getting better. Yes I know it is difficult to be patient when life seems to be moving faster all around you. Everyone’s time does come, just heal and ready when it does. Don’t be afraid to dream old and new life possibilities. Attorneys end up being paid by Insurance companies, and many realize the wealth and power they are up against. Most insurance companies pay $500/hour lawyers, who have teams doing opposition research with the goal to destroy and annihilate policyholders as plaintiffs. Unless Attorneys for plaintiff is wealthy in their own right, challenges faced when coming up against ready made powerfully engineered teams with enough time and money to project this claim way out into the future is a formidable task. Poor and Middle class insured typically don’t have ten years to wait out results and be able to survive financially and emotionally. This includes battling an ERISA claim with Employer which requires more out of pocket cost to fight these multi-billion dollar companies. The key is to recognize what you are up against, stand up and fight, and bring awareness by documenting journey. Also, contact your Congress and let them know you support Insured Civil Rights Legislation to balance playing field for policyholders dealing with insurer's bad faith practices of delays, denials, or claim terminations. ERISA claims currently can allow Employers no consequences for bad faith behaviors. Again, attorney loyalties are also important to learn. Many work with insurance companies. Be careful who you hire and do best to ascertain their relationships with insurance companies. Make plan of action with facts about condition. Most injuries do follow a pattern. Although no two people may recover exactly the same, most go through similar circumstances. Having a plan will help protect against confusion and errors when unsure how to proceed. Taking time to compare options allows you to become comfortable with decisions about condition or concerns addressed about insurance claims. Reviewing a plan of action is a guiding light, keeping focusing on what is important to you while evaluating recent information and how it compares with knowledge currently known. Recovering in love means accepting where you are every step through the process. Understand these huge conglomerates have been at this for decades, with experience, wealth, and power the average person does not necessarily come into contact with in their lifetimes. The idea to be fully equipped to combat tactics brought before you is a high expectations few on Main Street Policyholders can rise to mutual level with insurers during this journey. Yet, policyholders do learn more and fight better than initially anticipated. This is why it is important to share learned examples with others in similar situations. 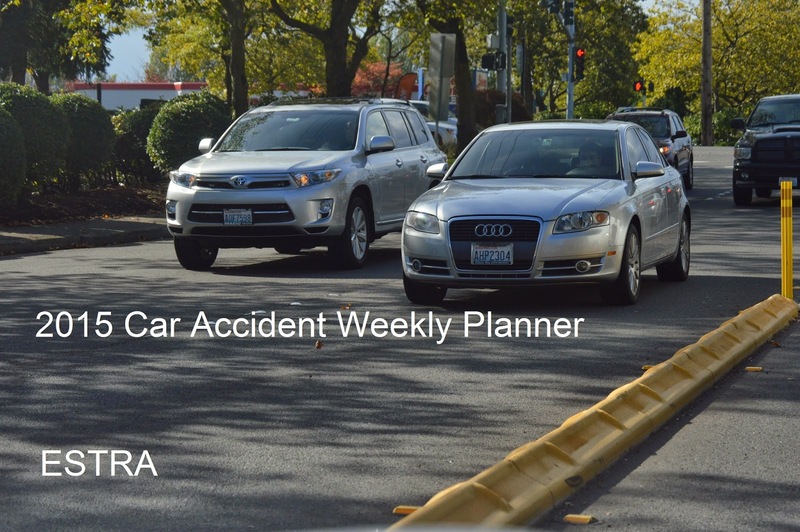 For Poor and Middle Class Policyholders it changes the conversation into one that brings practical responses towards unfair or bad faith actions most insured don’t expect to face after being involved in a collision. Having viable options for insurers allow injured more recovery time to explore ideas on personal care. The love given to yourself will improve body, mind, and spirit, in my opinion. Recovering in love empowers, brings courage, and strength needed to get through process in a way that is victorious, regardless whether those companies do the right thing on your behalf. Also, Congress can evaluate Auto Insurance Companies actions related to timeliness and settlements of the injured. You, too can advocate for Insured Civil Rights to help improve conditions of people injured in car accidents. Let me know if you are interested #CarAccidentAdvocates.